Let The Good Vibes Flow! Welcome to Surf AXA's Lime Keel. 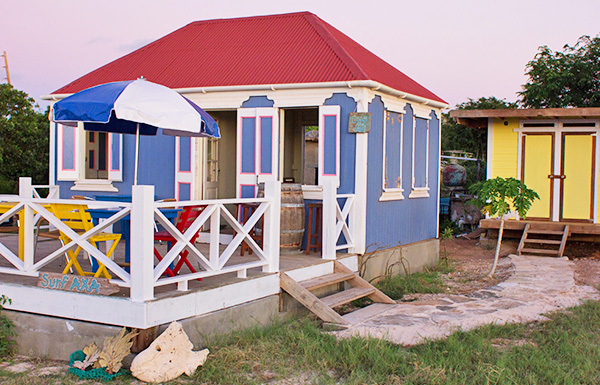 A historic chattel house, the Lime Keel is a beauty and a "home base" for John's eco tours and Ravi and Akio's Surf AXA. The Lime Keel has been many, many months in the making. It all began before Hurricane Irma. Amazingly, she survived Irma's wrath without any damage. John reinforced every millimeter of this historic gem with nails and screws. When you ask him, he'll tell you, "If you ran a metal detector over the walls, you would hear a constant beep." Bolted into concrete, "I don't want her to go anywhere," John says with a smile. She is a labor of love. Painted purple and pink with white trim, the colors pop. A beautiful stonework path leads from the house to the bathrooms. The bathrooms are beauties, too! 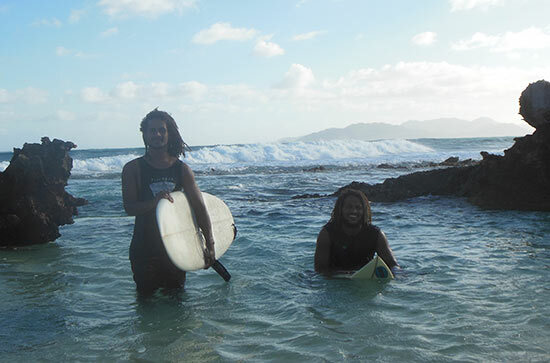 They boast Anguilla rock sinks, handmade by John himself. Each piece of the Lime Keel has been crafted with love and care. 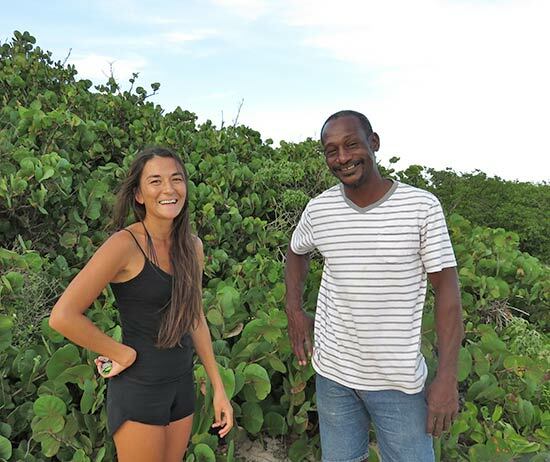 Soon, Lime Keel will be open for daytime tours to experience a traditional West Indian house and to also learn a bit about Anguillian culture. Artifacts and historical pieces that John has collected through the years will be on display (updates coming soon). Right now, come weekend nightfall? 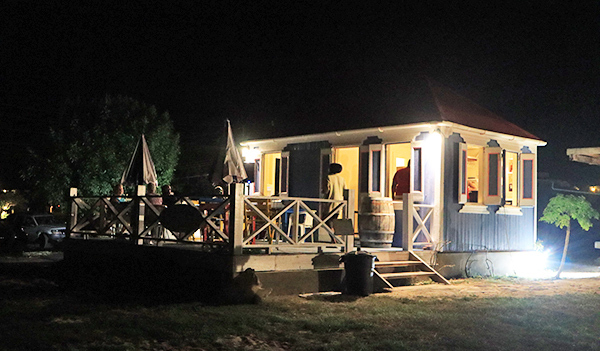 Prepare for one of the warmest, most uplifting neighborhood vibes to be felt in Anguilla. 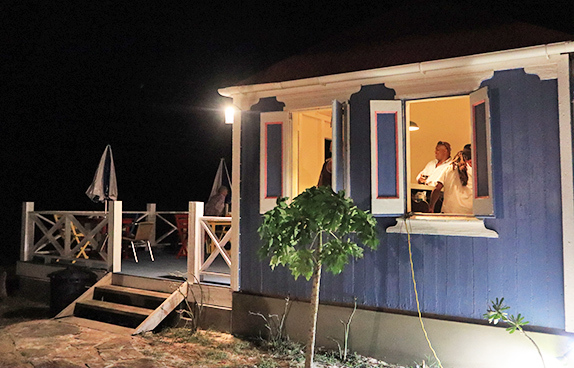 The Lime Keel twinkles under the Anguilla night sky. Live music plays out on the deck, patrons flow in and out of the bar area and Akio and Ravi make you feel right at home. 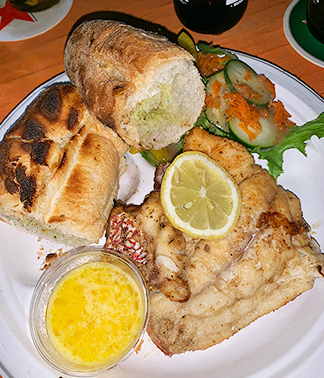 Outside, BBQ and fried fish are cooked up on the grill. 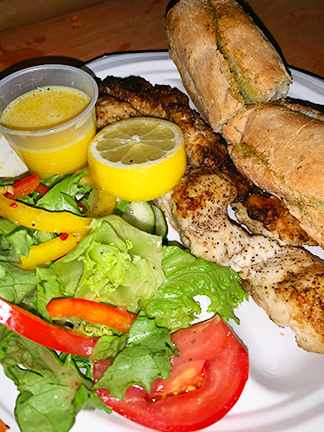 The mahi mahi is highly recommended, caught by Akio earlier in the day. 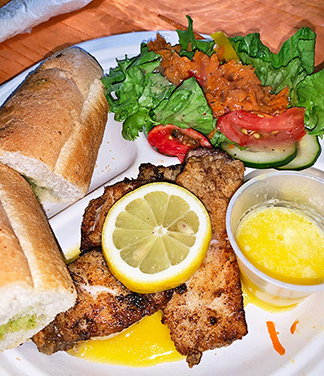 Meals are served with garlic bread from Le Bon Pain, a kickin' salad and a special sauce that changes weekly. One of our favorites? The garlic lemon butter sauce. It pairs perfectly with seafood and garlic bread! "This way of cooking is how we would do it back in the day," John explained. Simply fried, the mahi is cooked to perfection. Tender and flaky, a slice of lime is all it needs. 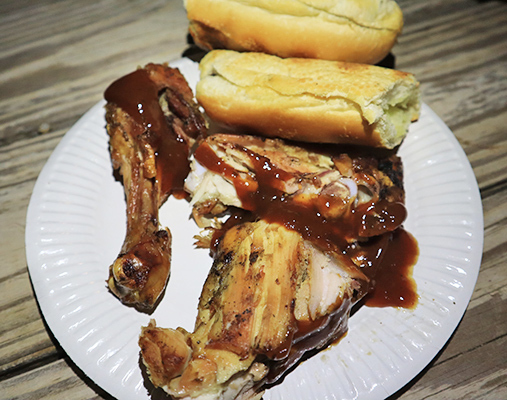 A beautiful and tasty way to keep the history of Anguilla alive. 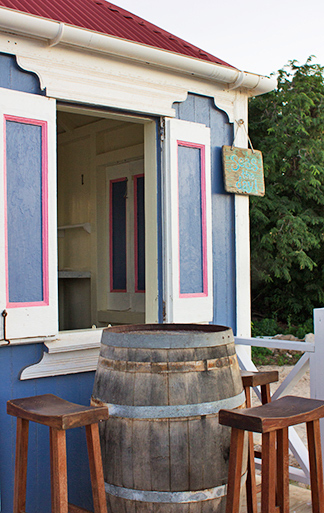 Lime Keel House's seafood changes weekly, depending on what was caught. Some nights you can even get crayfish! 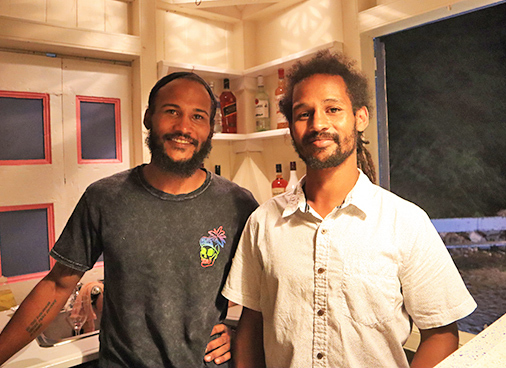 A bridge between Anguilla's past and present, John, Akio and Ravi always amaze. 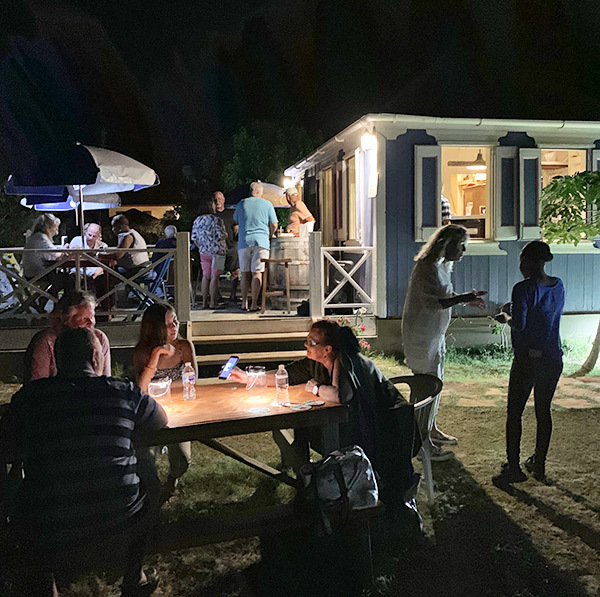 Lime Keel is open weekends only in the evening. Hours: Open Fri.-Sun. from 5pm. Directions: On the way to Hibernia in Island Harbour.